Malaria is a major public health problem in Tanzania with nearly its entire population at risk of infection. On the Mainland, more than 40 percent of all outpatient attendances are attributable to malaria, resulting in an estimated 10 to 12 million clinical malaria cases annually. It is estimated that 60,000–80,000 malaria deaths occur annually in the Mainland among all age groups. The PMI AIRS Project began supporting Tanzania in April 2015 and will implement its first year of IRS spray implementation in 2016. 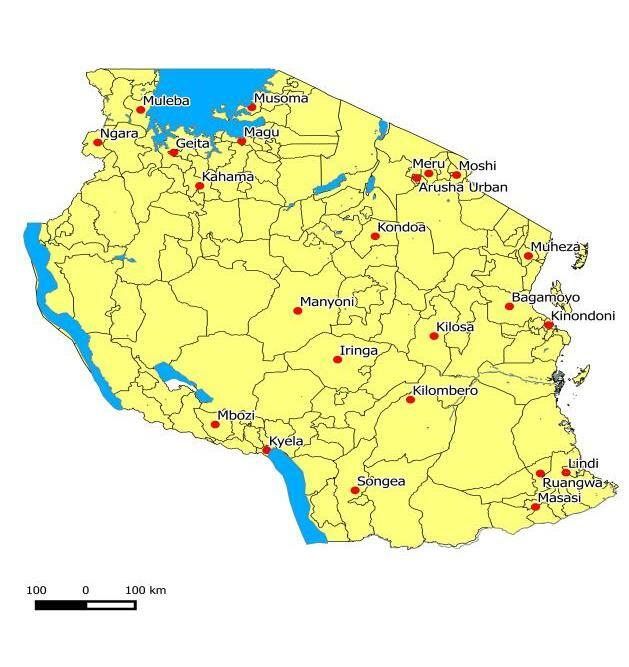 The 2016 spray campaign will aim to achieve spray coverage of at least 85% of the approximately 453,406 eligible structures targeted in eight districts of mainland Tanzania, approximately 30,000 eligible structures in Zanzibar; and 20,000 structures in Geita district to be sprayed under a public private partnership (PPP) arrangement with Geita Gold Mine (GGM). The organophosphate pirimiphos-methyl (Actellic® 300SC) will be used in the 2016 spray campaign based on the recommendation of the interim insecticide resistance management plan. In addition to carrying out all aspects of IRS planning, implementation and supervision, AIRS Tanzania will also support the National Institute for Medical Research (NIMR) and the Zambia Malaria Elimination Programme to conduct routine entomological monitoring in all spray sites including assessing malaria vector density and species composition in intervention areas; establishing vector feeding time and location; monitoring the quality of insecticide application and insecticide decay rates and assessing vector susceptibility and mechanisms of resistance.